If you have never heard of the Pinners Conference it is a big conference held in Utah that is all about Pinterest! Classes! Booths! 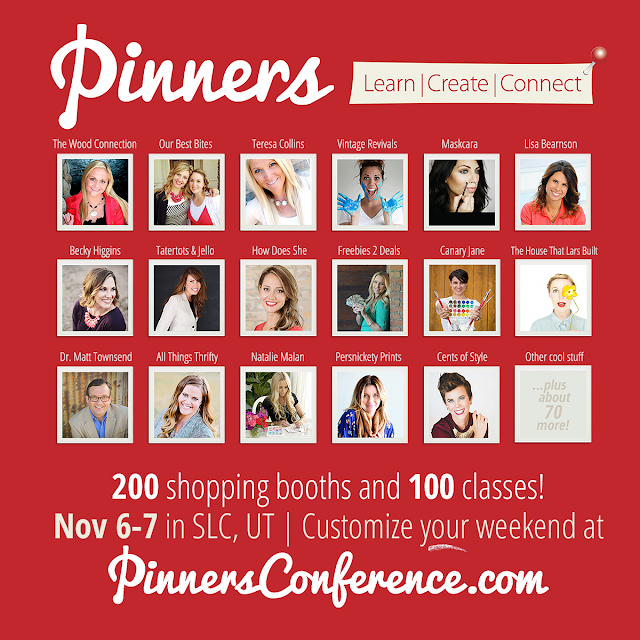 The chance to meet some of your favorite pinners! Check out the website and use the code STACIE to get 10% off your ticket price! Hope you can come - I've been the last couple years and it's been worth my time to go. Even if you just go to walk around the booths, it is fun to see what people are selling. The classes are great because you get to do some hands on activities and learn from the pros.